Selenium is available through diet or supplements. They say good things come in small packages, and it couldn't be truer when you consider the benefits of selenium. The recommended daily dosage for this trace mineral is only 55 micrograms for women and 70 micrograms for men. However, despite its small amount, selenium is an extremely important mineral that helps support many functions essential for life. Selenium is found in virtually every cell of your body, with its greatest concentrations in organs such as the kidneys and liver. It is even found in the soil. One of its many roles is in metabolism. Selenium is vital for proper thyroid gland function. It helps cells convert thyroid hormones from their inactive form to an active form. Selenium is also a powerful antioxidant. Antioxidants attack free radicals in your body which can cause cellular damage and disease. It is also believed selenium can prevent chromosome breakage, one cause of birth defects and cancer. 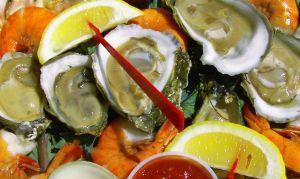 In addition to its normal functions, selenium may also have other health benefits including cancer prevention. A 1996 study at the University of Arizona in Tucson (Journal of the American Medical Association December 1996) provides some encouraging evidence of its role. A 32 percent reduction in cancer cases was observed in individuals who took 200 mcg of selenium a day for four and a half years. The study also suggested that selenium may prevent death due to cancer. The strongest evidence showing links between cancer prevention and selenium has been documented with prostate cancer. A 2002 study published in the Journal of Urology (Journal of Urology, August 2002) found selenium appeared to reduce risk of prostate cancer in individuals with higher selenium levels in their body's plasma. Adding selenium to your list of nutritional supplements may reduce your risk for heart attacks and strokes. It is believed that selenium may help prevent blood clots by making your blood less sticky. It also benefits your heart by lowering your levels of total cholesterol and bad cholesterol. High levels of cholesterol in your bloodstream increase your risk of developing coronary heart disease. Selenium has other benefits, though not necessarily health related. One of the symptoms of a deficiency in thyroid function is hair loss. Hair loss is also associated with aging. Selenium may help relieve hair loss caused by low thyroid hormone levels. It can promote hair growth by helping your body more effectively use the proteins necessary for hair growth. While other benefits of selenium have been noted, some research suggests that selenium taken with vitamin E provides the best value. Selenium naturally has anti-inflammatory properties, which can be enhanced with vitamin E. This combination may prove to be an important support treatment for inflammatory conditions such as lupus and rheumatoid arthritis. While the evidence does support these conclusions in mice, further study is needed to understand how selenium may benefit these individuals. If you eat a good diet which includes plenty of seafood, poultry, and grains, chances are you are getting adequate amounts of selenium. A good multi-vitamin will also supplement any deficiencies. Selenium is safe to take, with no known drug interactions. Because it is a trace mineral, only small amounts are needed. If you do take a supplement, try and figure what amount you may be getting in the foods that you normally eat to prevent it from building up to toxic levels in your system. Conversely, low levels of selenium put you at greater risk for cancer and immune system disorders. Selenium, like other minerals such as potassium and magnesium provide important health benefits. As amazing as it may seem, this naturally-occurring mineral not only supports proper functioning of your body, but can help you lead a healthier, happier life. 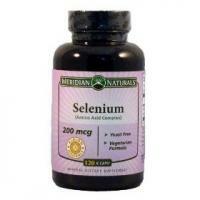 As with any supplement, consult with your doctor before you begin taking selenium.